I work with a variety of different Buyers in South Florida ranging from “Snowbird” buyers wanting a quiet mobile home for the winter, to Fortune 500 Executives looking for a $20 million Luxury home on the Ocean. I have one rule that is the same for every buyer that I work and that means each of my clients receive my full attention and experience, with the goal of saving them money and assisting them through the difficult process of buying a home. All of my buyers receive a “Premium Buyer Program” package that walks them through the entire process of lending instructions, property searching, making an offer, home inspection, closing procedures and everything else related to the home buying process. Call me today to help you with your next home purchase, or join our FREE mailing list and receive Home Buyer information that will help you to be better educated for your next purchase. 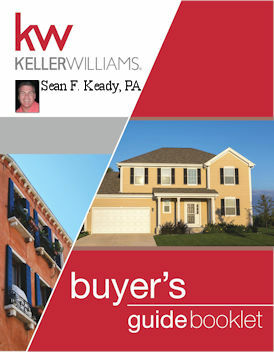 I highly recommend Sean Keady as a realtor. His knowledge and expertise was invaluable during our search for a home. He was personable, affable, available. He was very professional. What I liked the most about Sean is that he made it a point to get to know and understand what we were looking for within our price range, so he could provide us very good options for properties. He was patient and not pushy. I highly recommend Sean to anyone looking for real estate. During the whole process he was there to advise us.